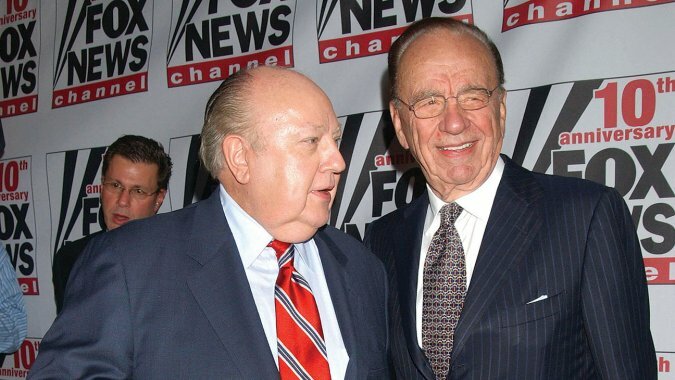 Rupert Murdoch replaced Roger Ailes as the new CEO of Fox News albeit on an interim basis after the former chairman and CEO of the network allegedly ordered his newscasters to besmirch not only those who accused him of sexual harassment but also the ones who supported the accusations. The news was delivered in person on Thursday by Rupert Murdoch, the 85-year-old media mogul who joined hands with Roger Ailes 20 years ago to start the Fox News network, as he announced that Mr. Ailes was out as chairman and chief executive, and he, himself, would be taking over the network in the interim. The source also said, "21st Century Fox had learned Mr. Ailes was trying to get some of his on-air stars to criticize those who cooperated with investigators looking into accusations of sexual harassment against him." ALSO IN THE NEWS: Roger Ailes and his wife Elizabeth Tilson's married life affected by Gretchen Carlson's recent allegations? As part of a settlement agreement, Roger Ailes will walk away with about $40 million, which amounts to the remainder of his existing employment contract that runs till 2018. He also cannot start a competitor to Fox News and will continue to make himself available as an adviser to Mr. Murdoch on an interim basis though he will not be directly involved with Fox News or 21st Century Fox, Fox News’s parent company. The news comes just weeks after the former Fox News anchor Gretchen Carlson accused Ailes of sexual harassment and filed a lawsuit against him and according to her legal team, more than 20 other women have followed the suit since then.